If your first proper job is Harry Potter and The Prisoner of Azkaban and you’re hand picked by Nick Dudman, chances are you’re one to watch. And Kristyan Mallett most definitely is. 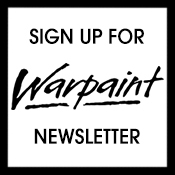 Warpaint is honoured to sneak a peek inside his workshop. 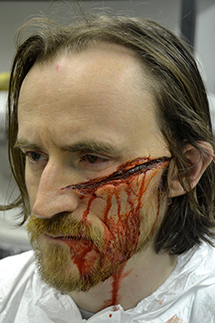 WP: How did you get into make-up and SFX? Were you professionally trained, or did you pick things up as a hobby? KM: Back when I was seven, I watched a behind-the-scenes feature on Legend, the one with Tom Cruise, and there was a character called “Darkness”, played by Tim Curry. I remember seeing this featurette on the application of his make-up – just a quick snippet of it, I was completely blown away that it was an actual job! I was always sketching monsters, making puppets, doing little stop-motion films – whatever opportunity I had to turn something into a creative project, I would. As time went on I realised more and more that my passion for films and my pure creative nature meant I would have to follow a path into the film industry. 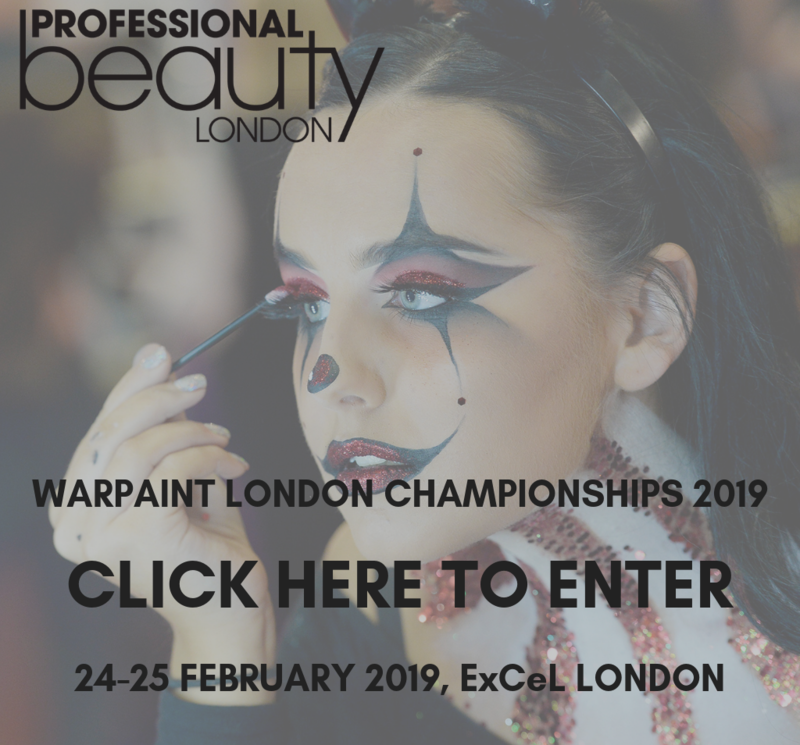 In 1997 I did a BTEC in media make up at Kings Lynn College, studying under Dean Rudd who’s now a Pro Trainer at MAC – he’s an incredibly talented guy. When I expressed an interest in the prosthetics side of things, he was all for it, even though he didn’t know a lot about it, so we just kind of figured it out together. At the end of the course I was awarded a distinction, and another award for excellence. However living in Norfolk where there isn’t much of an industry involving make up it was difficult to find work, there was no fashion, film, or editorial work. I managed to obtain some work at a theatre, which meant I kept my hands in while I was doing other more regular jobs to earn a living. Life ran away with me for a couple of years, until I decided I needed to have another go at it. I got in touch with Nick Dudman, asking if there was anything I could get involved with, and his wife sent back a brochure for a course he was running. It was a nine-day prosthetic course in Kendal, covering all the basics: life casting, applications, and filled in the gaps of my knowledge. 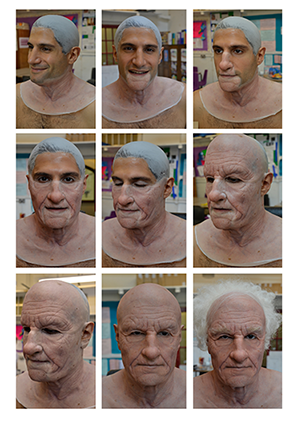 Halfway through the course, over the weekend, we had to think about what kind of character make-up we wanted to make for our final piece. That night I went to a local art suppliers and bought what I needed, and spent the whole weekend drawing some concept designs. 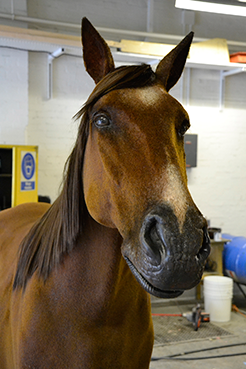 When we got back into the workshop, I realised I was the only person who had gone to those lengths. Nick was quite surprised and excited in seeing my ideas, and that afternoon he asked me what I had planned to do after the course. I didn’t have anything, other than going back to my job, so he offered me an apprenticeship position on Harry Potter and the Prisoner of Azkaban. I owe a huge debt to Nick for that. WP: Harry Potter must have been an incredible opportunity for your first proper gig. What was the most important or valuable thing you learned from the opportunity? KM: Definitely teamwork. The overwhelming thing about Harry Potter was the scale of it; there were about 60 people working in the Creatures Department alone, and every cog of this creative machine no matter how small was important. I just kept my head down and worked hard; I wanted to be remembered for working well and getting things done on time. Any opportunity to stay late, or to work weekends, I would. It was tough and long hours, but I was around some of the best talents in the UK. Just watching the person next to you, even keeping half an eye on what they were doing, you’re learning all the time. I’m still learning. Being in my position now, I try to keep the mentality of a trainee – so I always try to value every trainee’s opinion as equal to everyone else’s. WP: I’ve heard you run a very good trainee scheme – what can you tell us about it? KM: We have a training scheme in our workshop, where we have students in for one month at a time, and they get to work on whatever we’re working on. Sometimes if we’re really busy we ask them to stay on a bit longer, and we’ll have two trainees running concurrently. It sits uncomfortably with me to not pay someone for work that they’re doing, which is why we have a trainee scheme, not work experience. I am interviewing 30 plus people this weekend to fill in our next 12 available positions. We have managed to get it down to 30 candidates from over 100 so getting down to 12 is tough, as it’s hard letting people down but it’s the nature of any industry. The trainee scheme is paid and the trainees are required to work as part of the team, they could be moulding, sculpting, painting, hair punching, and even assisting onset. We had two guys, twins – Mike and Steve Byrne – from Delamar, who came to work with us for a couple of weeks, and have worked on-and-off with me for four years now. It’s great because their talent has really blossomed, and I’ve been able to watch them grow as artists and as people. They’re great, just a pair of fan boys like me. WP: What was it about prosthetics that captured your imagination? KM: It’s just the ultimate transformation, from one state to another. It can be done with paints to a certain extent, but I was fascinated with the 3D aspect of prosthetics. 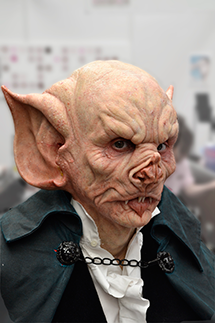 WP: Do you have a favourite prosthetic look to create? KM: It’s strange, because every job throws up new challenges and you can take something that you like, or something that you hate, from it. 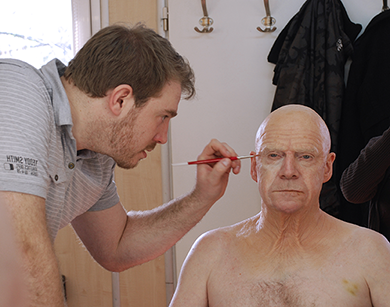 I enjoy making something convincing, something real like old age make-up and character make-ups. With a wound, old age or disease, there’s something real to compare it to. However the creative part of me could not be without creatures, aliens and monsters, as they are lots of fun and what inspired me to do what I do now. WP: Are there any projects that you have recently worked on that stand out in your mind? KM: We recently worked on The Theory of Everything, and Jan Sewell was the Make-Up Designer. 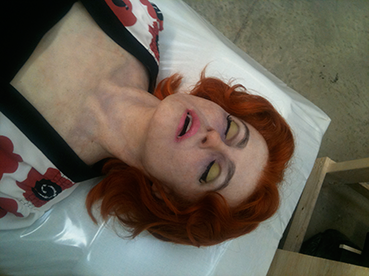 She hired us to do all of the prosthetics, which was an amazing experience. Everyone knows what Stephen Hawking looks like, and we definitely didn’t want to offend or mock anyone. It was all very subtle work. 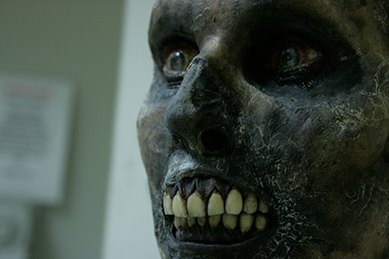 Chris Lyons from Fangs FX did a great job on the teeth, and we did Eddie Redmayne’s aging make-ups. We also made shoulder and knee pieces. You never saw them, but it made the costume hang differently, made it look like his legs were more protruding, bonier. There was a piece for the back of the head too, under the wig, for the same sort of thing. It was just looking at how we could convince people that he was Hawking – we were incredibly lucky to have someone like Eddie. 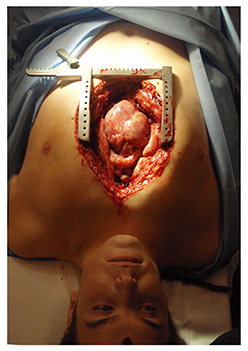 This was Jan Sewell’s design and we assisted the look with prosthetics. Jan Sewell has a fantastic eye and we are very grateful to be part of it. 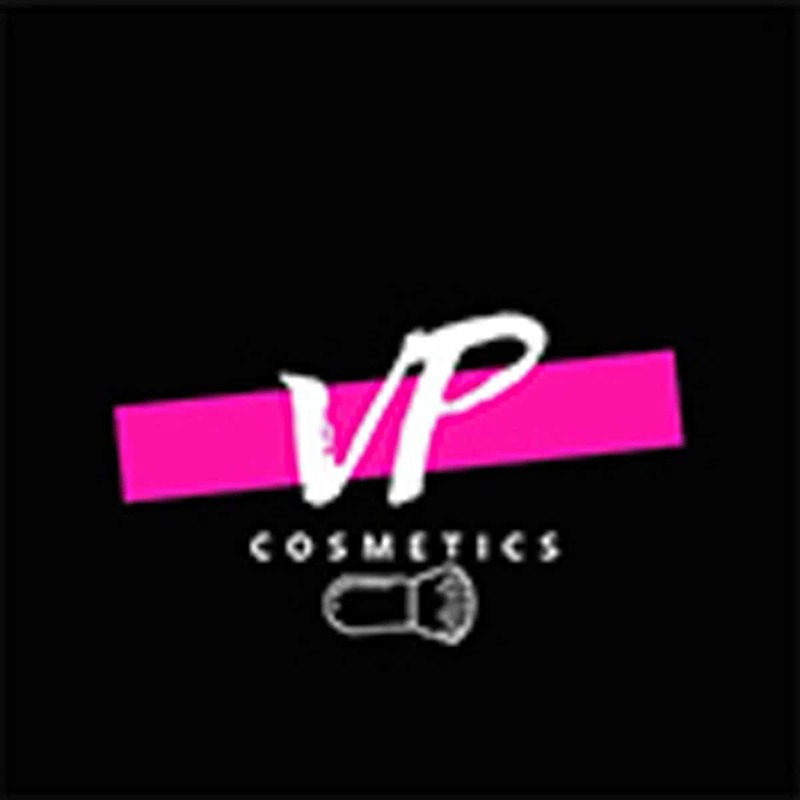 WP: Can you tell us what separates a good MUA from a great one? 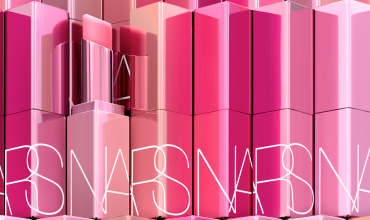 KM: A great MUA artist is constantly innovating and pushing the boundaries. 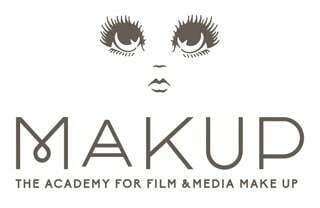 A good MUA is one who does their job to the best of their abilities from the brief given to them by the client. WP: What are the challenges of working in the industry with modern technology, CGI etc, encroaching on your line of work? KM: With CGI… if you do something 100% CGI, it will date. It will always date. And it’s the same if you use solely practical effects. The films that get the balance right – Jurassic Park, Terminator 2 – they tend not to date at all. I remember going to see Lord of the Rings, seeing what they had done with Gollum, and just being amazed, thinking, “that’s it, we’re out of a job!” But re-watching those original Lord of the Ring films now doesn’t look as impressive as it once did. Recently watching the Dawn of the Planet of the Apes – I was overwhelmed, especially seeing the digital orang-utan – it really restored my faith back in VFX. Although I will be interested to see how it looks again in a few years’ time, our expectations of what can be achieved goes higher and higher. I don’t think CGI and VFX will ever take over practical effect. Ten years ago it suddenly became more affordable for more productions, and everyone wanted to use it. Overuse of VFX can really be seen in the Star Wars prequels, but directors know it dates. A current example is that of J.J. Abrams who is directing the new Star Wars episodes, he understands that real is best, or as real as possible – and this is what the fans want! I’m certain it will be one of those films that gets that balance right on both practical and computer generated effects. I think this is how things are likely to carry on. WP: Tell me about setting up your own company – how did that come about? KM: I never intended to set up my own company, I was happy to just work for other people. But after one particular job, Kitty Greenwood who was the Make-up Designer for the BBC adaptation of Dracula contacted me. Kitty asked me to quote for a disease make-up, also asking if I would be happy to do some additional artwork for it too. From that they offered me the whole job. I ended up doing it all out of my flat, because I didn’t have anywhere else to work! The job went very well and everyone was pleased with the work produced. Kitty then recommended me to another Designer, this time for The Armstrong and Miller Show. I was doing this freelance work while I was working on, or between, other projects – but this job needed lots of work, lots of characters, and that’s how I ended up getting my first workshop. My company just kept expanding, as people started contacting me directly, and recommending me. We are now in our third workshop, which is 4,500 square feet, and we are still expanding as a company. We offer more services now and as a result are always busy. I also am a director of another company with David Power at PS Composites, which evolved out of him and me discussing gaps in the material market. David was already selling materials to the construction and prop side of the film industry and he was interested in what I could bring to the business from my side of the industry. It took a while for me commit to having this second company, because I knew there would be no going back. Once I was involved, his competitors would never sell to me again, so it was a big step. But it leads us to making great relationships with people I wouldn’t normally meet – set designers, people on the construction side. And now we have people across the ocean using our products, our peers. We’ve developed materials that are now used worldwide. I’m very much the silent partner, I just feed back the creative tweaks that need to be made, or what there might be a gap in the market for – since we’re making products for the industry. We always ask what the end-user wants – and I am both owner and end user. WP: Do you have a favourite project that you’ve worked on so far? KM: [instantly] The best job I’ve worked on was the fourth Harry Potter, for two reasons. 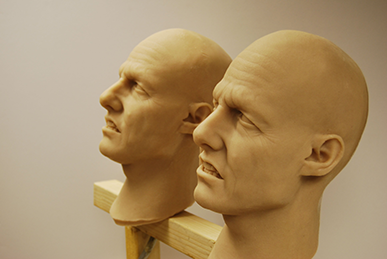 I met my wife [fellow prosthetics artist Nicola Mallett]; I was also given the opportunity to head up the silicone lab. Plat-Gel had just come out and we worked for a year to figure out what we could and couldn’t do with it, while working with the UK’s finest artists, giving feedback. We worked out how to encapsulate it into plastics, and that method became industry standard. It’s a very complicated process, trying to get cap-plastic onto it – it was causing a lot of problems. We must have done over 300 tests with Mad-Eye Moody, and Voldemort, all combined with input from Nick Dudman, Mark Coulier and others. 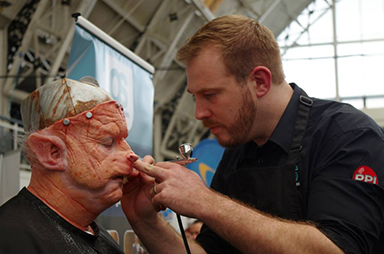 So because of my knowledge of how that silicone worked, I was suddenly in demand to run prosthetics pieces in many other workshops. Through my experience with this silicone we at PS Composites then developed a similar silicone system that ticked more of the boxes. My technical and chemical knowledge has just grown out of this, mainly out of my own interest – from talking to the chemists about what can or can’t be done. Looking back, this one particular Harry Potter movie was the catalyst to where I find myself positioned now in the industry with both my own Effects Company and PS Composites. WP: Is there a job that you’d still really like to work on? Even after working with so many people, and trying so many things? KM: I enjoy every job that comes in and I look forward to the next as much as the previous. All projects have something different to offer and that is what makes it so exciting. I have such passion for design and it’s the bouncing back and forth of ideas with directors, producers and other designers, which makes it so much fun. The job that I would really like to work on is always simply… the current one. WP: Do you have a best-selling product, or a service, which you would say you, and your team are particularly known for? KM: We do a lot of tattoo transfers – not that we promote it, it’s all just word of mouth. 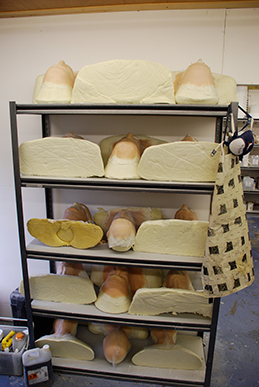 And lots of pro-bondo moulds; we have over 2000 moulds in stock. Of course we do bespoke ones, keeping them in stock, so that projects with a smaller budget can use them. 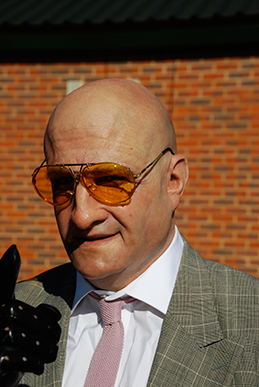 Whereas for bigger projects we’re hired as a full department, designing and making anything from fake babies, dead animals to likeness make-ups. WP: What are your staple kit products? KM: Anti-shine, MAC does a very good one which is probably my favourite. Sealers as well, the green and blue marble are very good. What’s made my job a lot easier are the PPI Signature Series palettes because you only have to carry around a concentrated selection of the colours you need, versus carting around three larger palettes. I was fortunate enough to be asked to produce a selection of colours for the range but Greg Cannom’s is the one I grab if I can’t find mine. Joel Harlow’s is so different to mine; it’s really great for character make-ups so that’s another favourite to have near by. 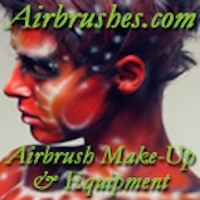 WP: Do you have any advice for aspiring SFX and make-up artists? KM: Train to be a great trainee, because if you do you’ll end up as a great make-up artist. If you’re willing to do all the lesser jobs and learn – then you’ll always learn. If you’re humble enough to know you’re always learning, then you’ll go on getting better and better at your craft. WP: What have you got coming up, do you have any future plans? KM: We are about to start work on the next instalment of the Mission Impossible franchise, and also two new TV series for Sky and ITV, we are also about to start a Supernatural Thriller project. 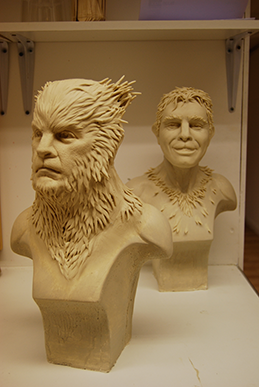 I will be doing the Monsterpalooza show in LA this September for PS Composites and that’s always fun to do to. WP: As you are so busy do you have any free time? And if so, what do you like to do with your free time? KM: I have an amazing wife and three beautiful children so any spare time I have is spent with them. Lots of creative play! Pretty much an extension of my daily routine but with Play Doh, sticky back plastic and glitter paint!